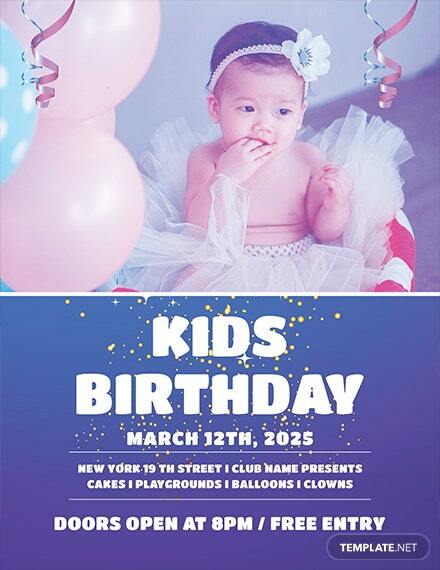 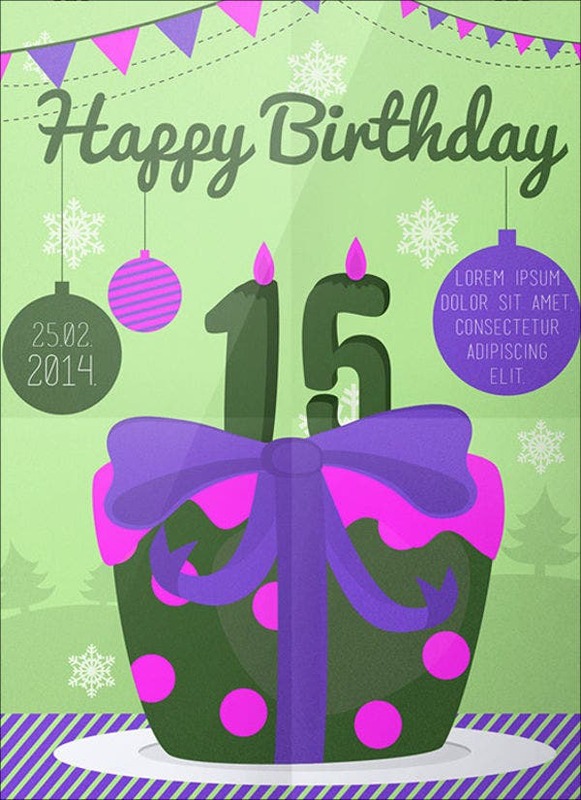 A birthday party flyer is an invitation sent to the guests of a birthday party. 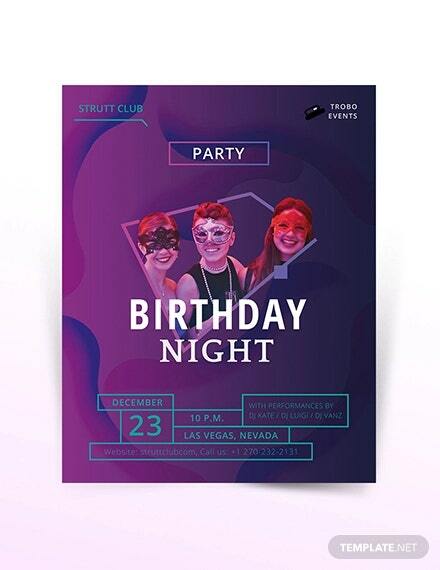 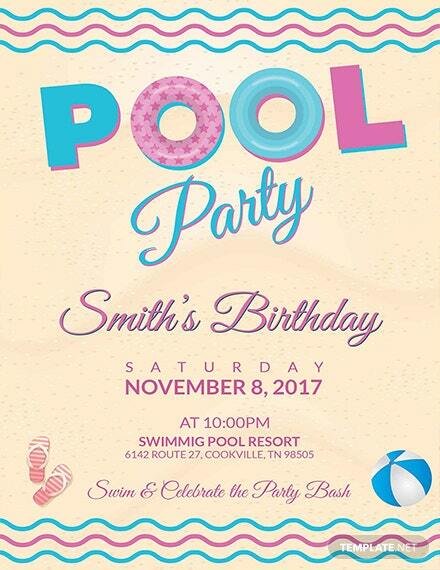 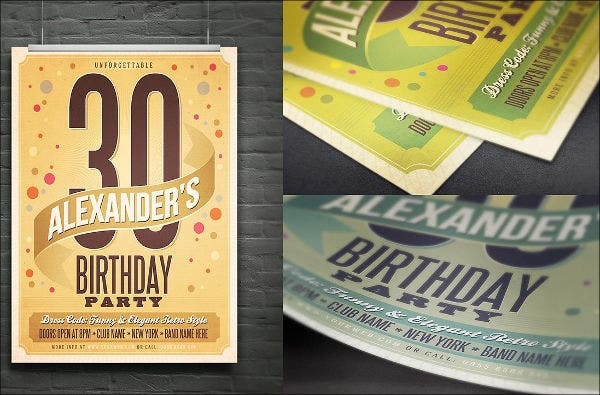 Compared to a normal birthday invitation card, birthday party flyers are only composed of a single sheet, unfolded, and designed in a single medium. 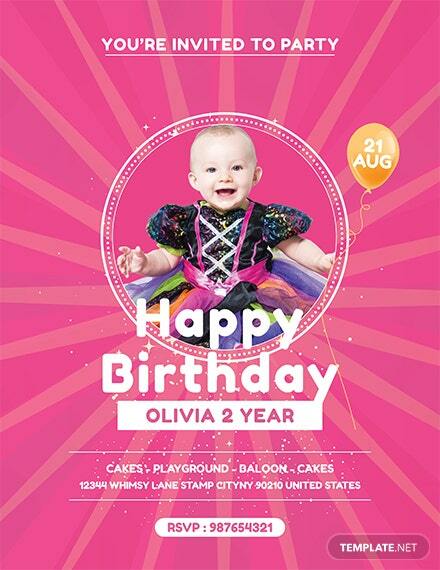 There are many ways that a birthday party flyer may be designed and there are varying factors that affect the decision on what content and design materials should be applied in a particular birthday party flyer designs. 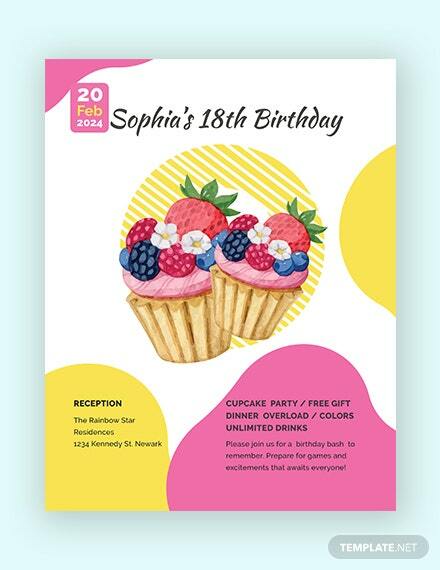 We can provide you with samples of birthday party flyer templates if you want to have references in creating the birthday party flyer that you will send out to the expected guests of the party that you will host and/or organize. 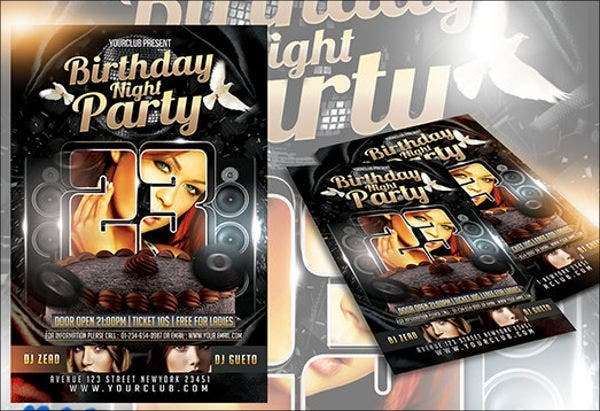 We also have other kinds of downloadable flyer templates usable for other occasions, celebrations, and purposes. 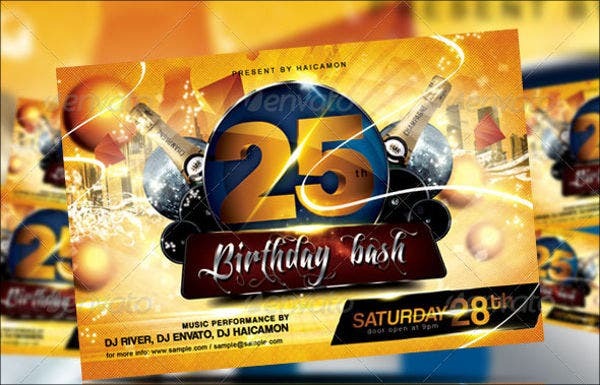 Aside from our samples of birthday flyer templates, you may also be interested to browse through and download our samples of party flyer templates. 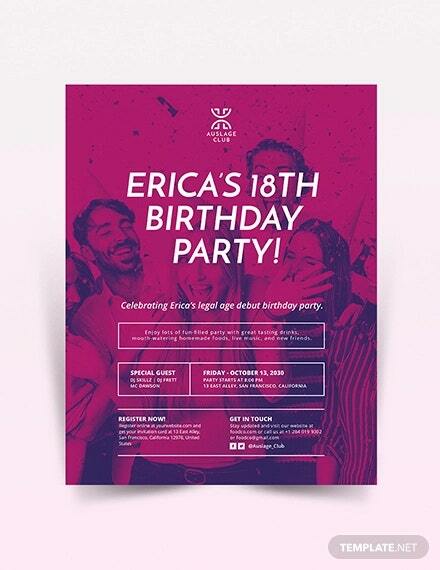 Surprise birthday party flyers are used to provide information about a celebration that is planned secretly. 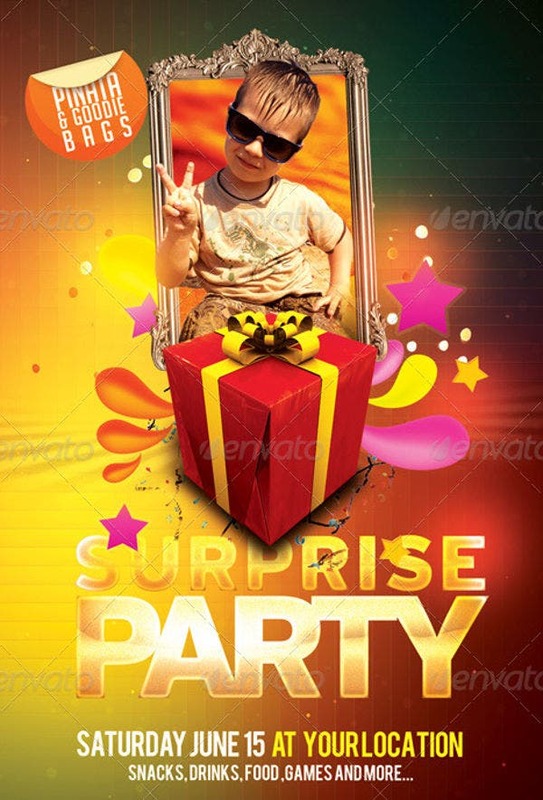 Make sure that you will know how to give them to people without being caught by the person to whom the birthday celebration is for. 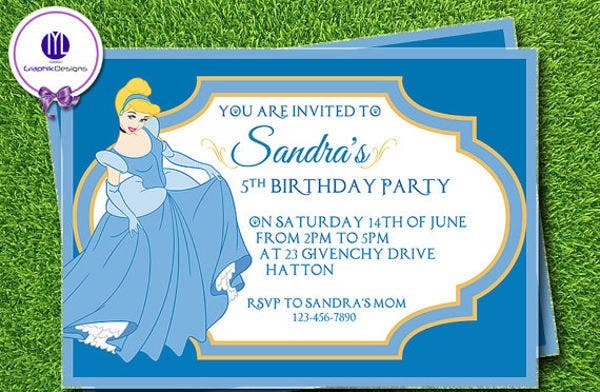 Birthday party flyer for kids commonly have themes that are related to cartoon characters, toys, and the items that get the interest and attention of children. 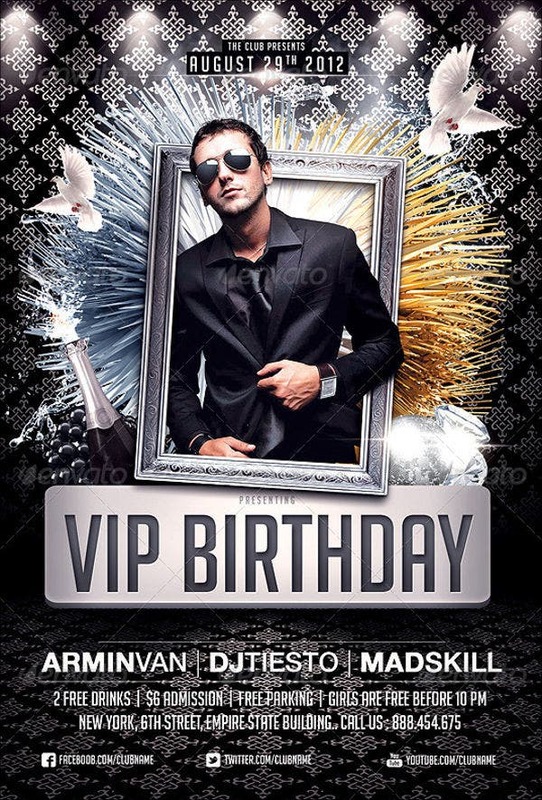 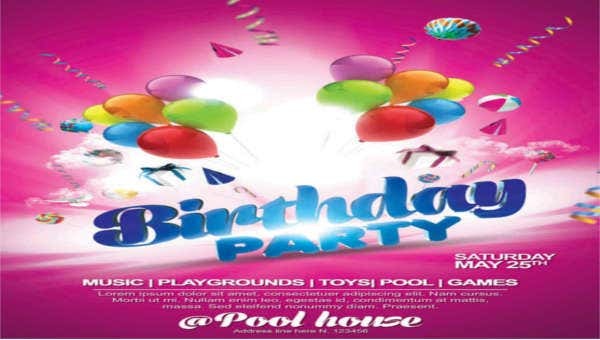 A VIP birthday party flyer is the kind of birthday flyer that may either be given to a selected few or it may be for a birthday party where VIP access is given to the event location. 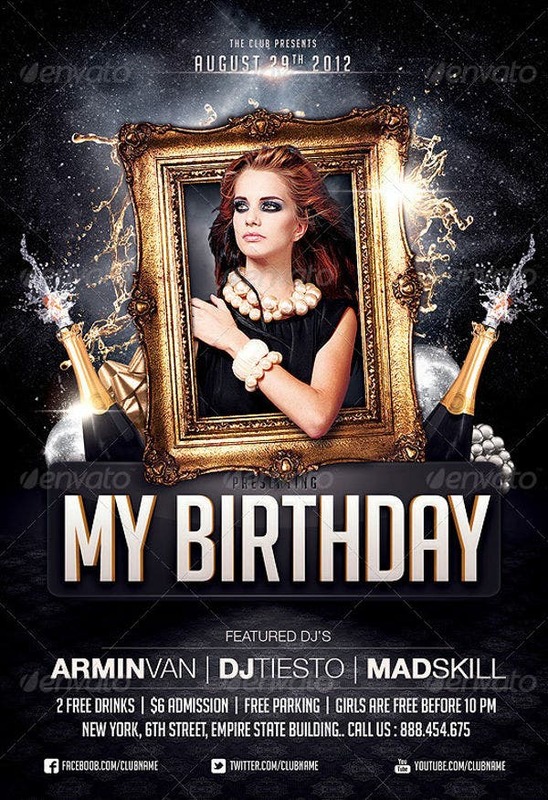 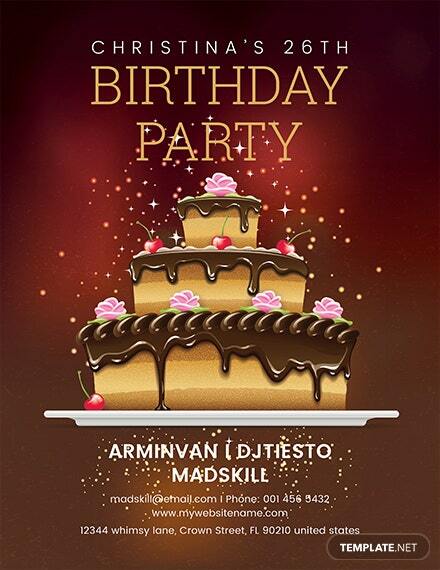 A birthday club party flyer is used to create awareness to the invited guests that the birthday party will be celebrated in a night club. 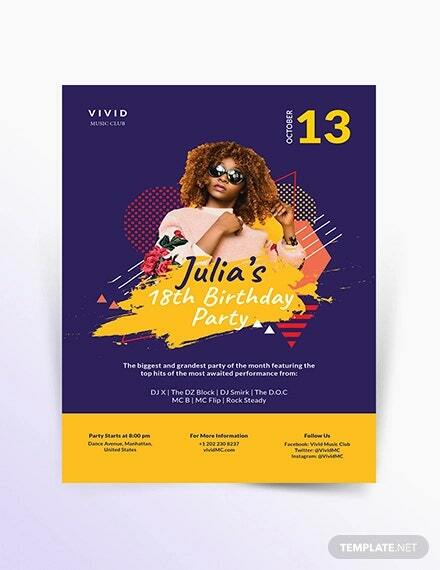 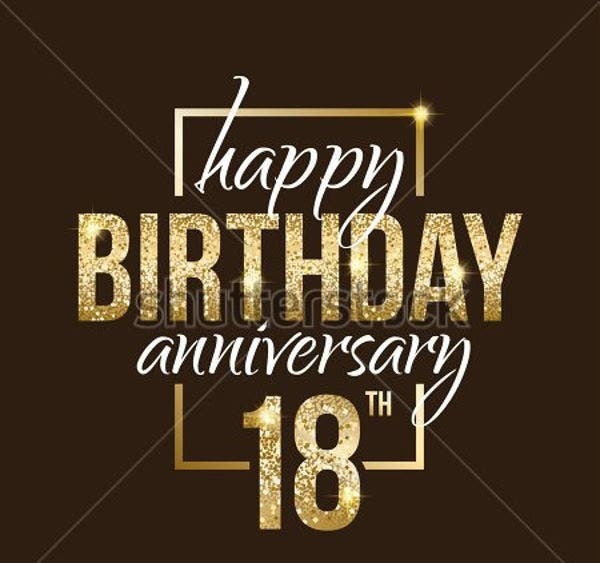 It may also include the kind of music that will be played within the entire duration of the celebration and the ambiance of the club that will serve as the location of the birthday party. 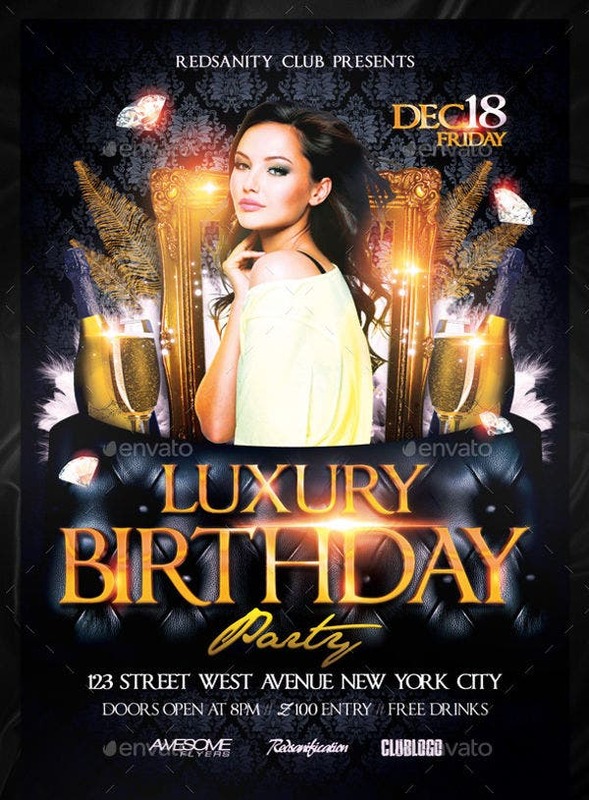 If the samples of birthday flyer templates that are available in this article are still not enough for you to fully have inspiration in creating the designs that you want to incorporate in a birthday flyer, you may also browse through our other samples of birthday flyer templates.